Apple’s smartwatch is the gadget of choice in the global market for wearable devices. The Apple Watch, first released in 2015, appears to be catching on with consumers and now dominates the nascent wearables market. Although Apple does not disclose sales figures of its Apple Watch, this chart by Statista, based on data from industry research firm IDC, shows that Apple took the top spot in 2017. The addition of cellular connectivity to the new model of the Apple Watch, along with the struggles at Fitbit, the previous market leader, contributed to Apple’s big year. 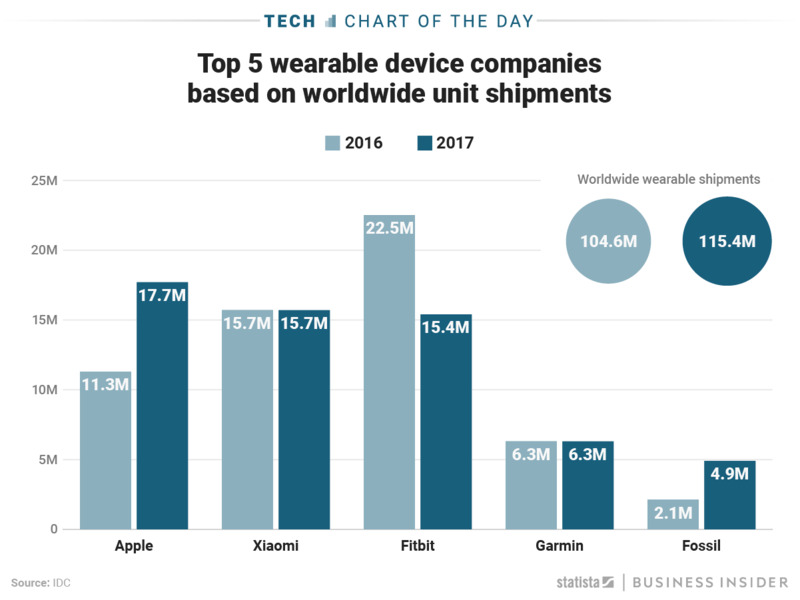 If Apple can continue to grow its wearables business at the same rate in 2018, its lead is likely to get larger.